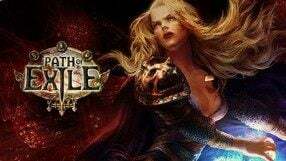 A hugely popular MMO game developed and managed by Belarus team of Wargaming.net studio. 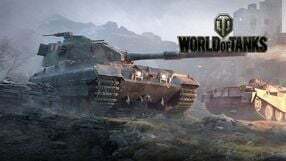 World of Tanks focuses on thrilling battles against live players controlling tanks. An extremely popular MOBA (Multiplayer Online Battle Arena) game, produced by Riot Games. 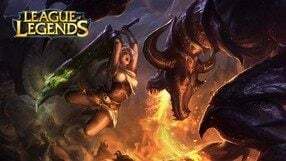 League of Legends is set in Valoran, a fantasy world that has been torn by a bloody war for centuries. However, the opposing nations found another way of resolving disputes – duels fought by their representatives in the arenas. 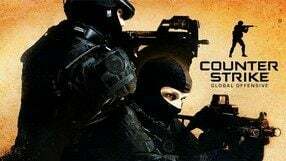 The game has been designed with multiplayer mode in mind, based on rivalry between two teams composed of several people. Each player controls one character. The key to the victory lies in cooperation between the team members and the ability to make good use of the individual strengths of each character. 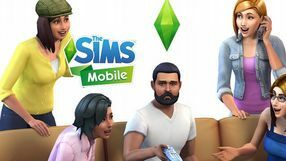 The game is using free-to-play business model with optional micropayments for some items and features. An online action RPG from Grinding Gear Games, a developer team from New Zealand. The action of Path of Exile is set in a fantasy world which was destroyed by a grand cataclysm. The players assume the role of exiles who try to survive in the dangerous continent of Wraeclast. The gameplay is focused on cooperation in teams of several players that traverse instance-based locations together. Each character can be developed choosing from more than 1300 skills. Visually, Path of Exile is inspired by the classics of the action RPG genre (Diablo, Sacred, and others), including the isometric camera. 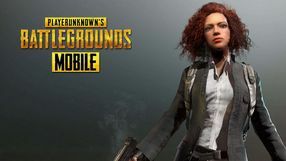 The game is free-to-play, but offers some additional facilities and items via optional micropayments. A free-to-play MMORPG set in a fantasy world and a debut project of the German developer Sandbox Interactive. The game’s universe is shaped entirely by players’ actions, who craft their own tools as well as build settlements and towns. The complex in-game economy system lets you e.g. rent production buildings or lease plots of land to other players. 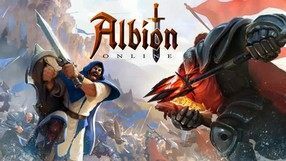 Apart from typical RPG story missions, an essential part of Albion Online are duels between players in PvP mode. The game’s world is split into 800 territories that can be conquered by players’ guilds, seeking valuable resources. Real-time combat uses mechanics typical of hack-and-slash games. While you are offline your territories are protected by a magic aura, so that battles can be fought only between online players. The game features a unique microtransaction system – a commission is drawn from transactions between players. 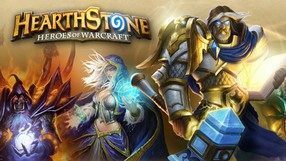 A fantasy MOBA game (Multiplayer Online Battle Arena) that combines elements of real-time strategy, action RPG, and action adventure game. This title was produced by Valve Software as a follow up to the popular Warcraft III: Reign of Chaos modification, Defense of the Ancients. 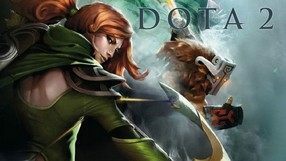 Just like the original mod, Dota 2 focuses on clashes of two teams made up of up to 5 people, each one controlling one hero. The key to victory is the proper usage of the unique abilities of the heroes and cooperation. When it comes to technical aspects, the game is powered by the popular Source engine, the technology capable of hitting the sweet spot between visual quality and relatively low system requirements. 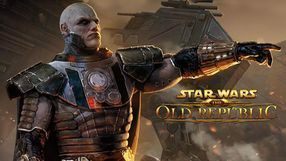 An MMORPG set in the Star Wars universe and a spiritual successor to the Knights of the Old Republic series. It was created by a seasoned RPG developer, BioWare Studios, also known for such cult titles as Baldur’s Gate, Dragon Age, and Mass Effect. The game lets you choose between the dark or the light side of the Force and create a unique avatar, selecting from 8 available classes. 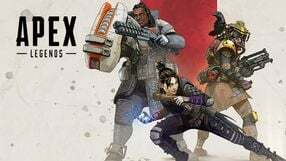 Gameplay focuses on exploration, combat, and developing your hero’s skills, although much emphasis is put on the story presented in the distinctive BioWare style. It is possible to play solo, but the game’s essence is about playing together with friends. The game lets you join a team and either complete story-related missions together or compete against others in one of PvP modes. A great deal of vast locations – both well-known to the Star Wars fans as well as brand new ones – await to be explored. A mobile online game which combines elements of shooters and MOBA games. Brawl Stars has been developed by the creators of Clash of Clans, Hay Day, Boom Beach and Clash Royale. The game features only a multiplayer mode. The players get to select one of more then a dozen available characters, each featuring different weapons, assets, and a special ability, after which they enter arcade battles taking place in special arenas. As the player's character is developed, their battle potential increases. 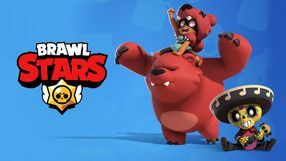 Brawl Stars offers several game modes, each introducing a different set of rules. In Smash & Grab, two 3-player teams fight each other with the objective of capturing the crystals that are growing in the center of the map. In Heist, two teams face each other and, in turns, defend a safe or try to rob it. 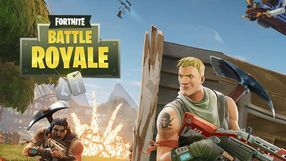 The third mode – Battle Royale – allows up to 10 players to fight until there is only one character left alive. The last of the game modes is Bounty, in which one acquires stars for eliminating their foes and loses them each time their character dies. 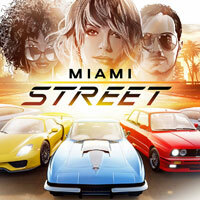 A racing game, in which the players are trying to win races on the streets of Miami. The approachable controls are a characteristic trait of the game – during the game, the players aren’t given full control of the vehicle. They can only accelerate, brake and use boost. The game features decent graphics. A co-op sci-fi shooter game developed by Digital Extremes, the creators of The Darkness II, Pariah, and Dark Sector. 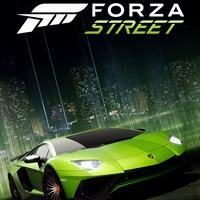 It's a free-to-play game with optional microtransactions. The story takes place in the far future, in the far region of the galaxy, where the Tenno race is fighting the Grineer empire. 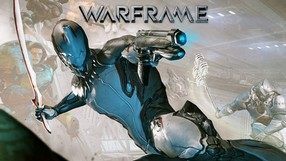 The chances of both sides become more balanced when the Tenno discover the ancient battle armors, giving their owners extraordinary offensive capabilities. You play as one of the armored cybernetic ninja warriors, wielding both a sword and firearms. The combat sequences are spectacular and dynamic. The players can team up and fight together against the AI-controlled Grineer forces. Warframe allows for upgrading and modifying both armors and weapons, but to get the upgrades, you have to do some dangerous tasks. The missions are randomly generated, which additionally enhances the fun. 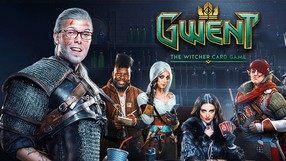 A stand-alone version of collective card game (CCG) that debuted in the bestselling RPG, The Witcher 3: Wild Hunt, by CD Project RED, and quickly became acknowledged as one of the best minigames in history. In Gwent: The Witcher Card Game players compete against each other with progressively collected decks of cards from five different factions. As in most CCG, the gameplay is turn-based, but quite unusually, the player’s objective is to gather more attack points than opponent. Cards are placed in three different rows, respectively for melee soldier, ranged units and siege machines like catapults. Our army’s strength can be both increased and decreased with special cards, unique skills of commanders or weather effects. Aside from complex multiplayer mode, the game also offers an episodic story campaign. 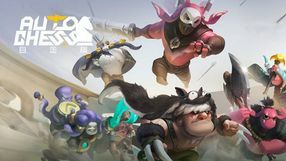 Auto Chess is a mobile fantasy strategy based on the popular Dota Auto Chess modification. The gameplay is about fighting turn-based battles against other players. Clashes are played automatically and victory depends on which heroes we choose to join the squad. The sequel to a highly popular MMO game set in fantasy world, developed by NCSoft’s studio ArenaNet. The story begins 250 years after the events shown in the Guild Wars: Eye of the North expansion. Due to the return of ancient dragons, the world has changed significantly. Many towns and regions were destroyed beyond recovery. New technologies appeared as well (e.g. gunpowder), which had a visible effect on the lives of inhabitants. 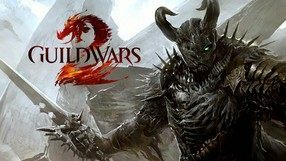 Similarly to its 2005 predecessor, players start their journey in Guild Wars 2 by creating a hero, choosing from 5 playable races and 8 classes. The gameplay has been designed mainly with small character parties in mind, making it easier to earn experience and precious loot. 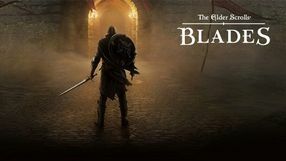 The game stands out with its high quality visuals and atmospheric soundtrack composed by Jeremy Soule. An online RPG game set in a high fantasy world. It was developed by Cryptic - a team popular mainly for City of Heroes and Champions Online. The game is based on the popular Dungeons & Dragons RPG system and the story takes place in the Forgotten Realms universe. Dark forces have taken over a large area in the titular city. Called in by the Lord Protector, fearless heroes and adventurers arrive to face the evil beings. The gameplay focuses on cooperation of five players assembled into a party that traverses dungeons filled with different dangers. The mechanics combine elements of MMOs and action RPGs and are based on the rules of the fourth edition of Dungeons & Dragons. 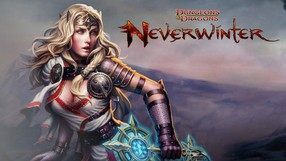 Neverwinter stands out with its simplicity-driven editor tools allowing for creation of numerous new adventures. A free-to-play online action-RPG designed for the Asian market by the South Korean studio Tripod. The game is set in a fantasy realm, whose people managed to avoid an invasion of evil thanks to the titular Ark. After years of peace, the leader of demonic legions, Kazeroth, tries to use the artifact to take over the world. The players have to find it and prevent the imminent disaster. The game employs isometric camera in gameplay, resembling such classic hits as Diablo or Torchlight. There are 18 character classes, each representing an original take on classic RPG archetypes. In the game you get to explore (both lands and seas), collect resources and treasures, and fight against mighty bosses, as well as other players in the PvP mode. 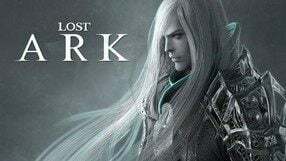 Lost Ark features high quality graphics powered by Unreal Engine 3. A sequel to a bestselling RTS game released by the Blizzard company in 1998. The story of the second game was split into three separate episodes; Wings of Liberty is the first installment in the trilogy, focusing on Terrans. 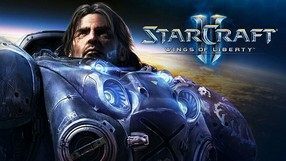 In the game you meet an old acquaintance - Jim Raynor. Deemed a rebel, now he fights with Zerg forces, who seem to be interested in a mysterious artifact. He also encounters the powerful and mysterious race of Protoss. In comparison with the prequel, gameplay mechanics did not go through any drastic changes, allowing the authors to focus on new, upgraded visuals, multiplayer mode enhancements, and other minor modifications. Single player campaign allows the player to complete the available scenarios in any order and freely choose which technologies to develop. Furthermore, between the missions you can explore the world, talk to non-player characters, and use their services. A free-to-play MMO flight simulator. It was developed by Gajin Entertainment, a Russian studio which previously created such titles as Wings of Prey, Birds of Steel, and Apache: Air Assault. The players assume the role of fighter pilots and can pilot hundreds of carefully recreated World War II aircrafts. The developers made sure that battlefield reality is faithfully reflected not only in the air, but also on the land (artillery, infantry) and at sea (navy). Progress allows us to upgrade our planes, buy new kinds of weapons as well as learn new piloting skills. 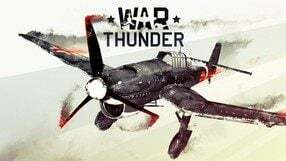 War Thunder stands out from its competitors thanks to its high-quality visuals and realistic flight physics.